Young Mouserella misses her Grandmouse after a recent visit with her. 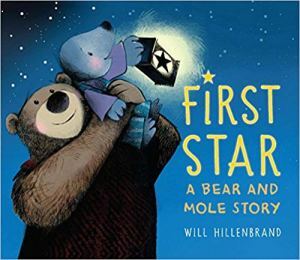 On her mother’s prompting, Mouserella writes a letter to her Grandmouse, sharing some of the highlights of the past week like visiting a museum, experiencing a blackout, and creating sunflower seed parachutes. The letter is full of snapshots of the family activities and drawings from Mouserella. It ends with a picture of the young mouse blowing a kiss to her Grandmouse. Home: Pick a friend or family member to write to. Plan a week of fun experiences which can range from home activities (crafts, games, experiments, cooking) to outings (movies, parks, museums, local attractions). Throughout the week, allow your child(ren) to write (using pens, color pencils, crayons, or markers) a couple sentences about the day and illustrate them and/or add pictures (print them from the computer). At the end of the week, send it off in the mail. (Make sure it includes a date, greeting, and salutation). 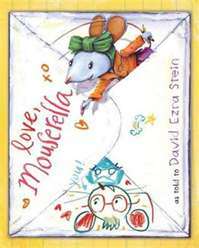 School: Read Love, Mouserella during a unit on personal letter writing. Provide colored pencils, crayons, and markers. Allow children to write following Mouserella’s model—using pictures, photographs, and daily experiences.